You guys know how much I love staying at hostels instead of swanky hotels whenever I travel solo, right? My trip to the capital city of Vietnam was planned very abrupt since I have lots in my plate to finish. I am supposed to travel with a friend who agreed to buy the other spare ticket I won from Jetstar Asia. Unfortunately, some unexpected circumstances happen so I end up traveling alone. 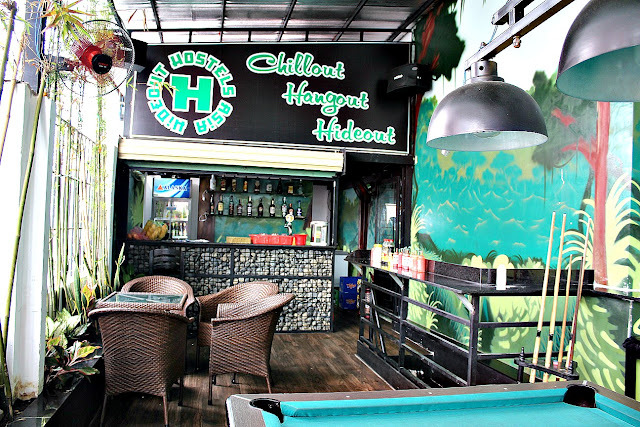 I had so little time to google then compare every single detail about choosing where is the best hostel in Ho Chi Minh. After endless hours of searching, an article about Top 7 Backpacker Hostels in Vietnam saved me from further stress. 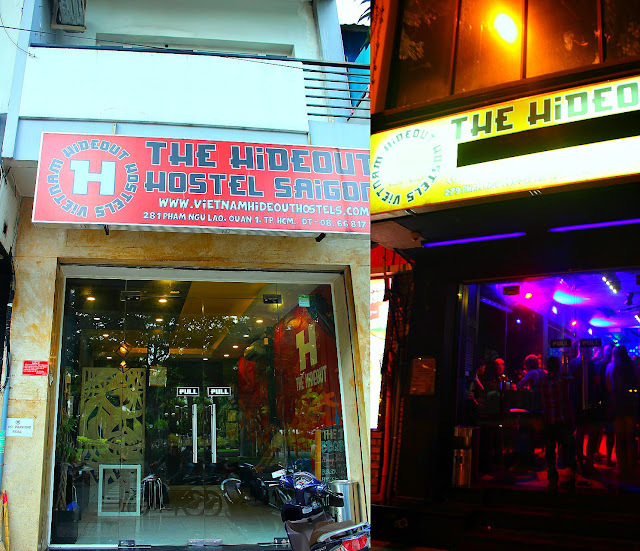 One cheap accommodation that's included in that list stood out to me, the Hideout Hostel in Ho Chi Minh. 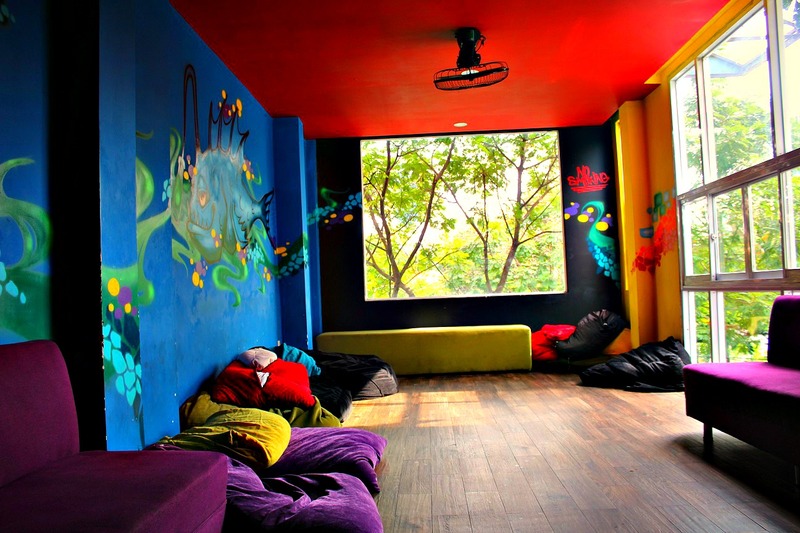 I wasted no time and in a few minutes I am booked for 4 nights via Hostelworld. There are three main reasons why I chose The Hideout Hostel in Ho Chi Minh. 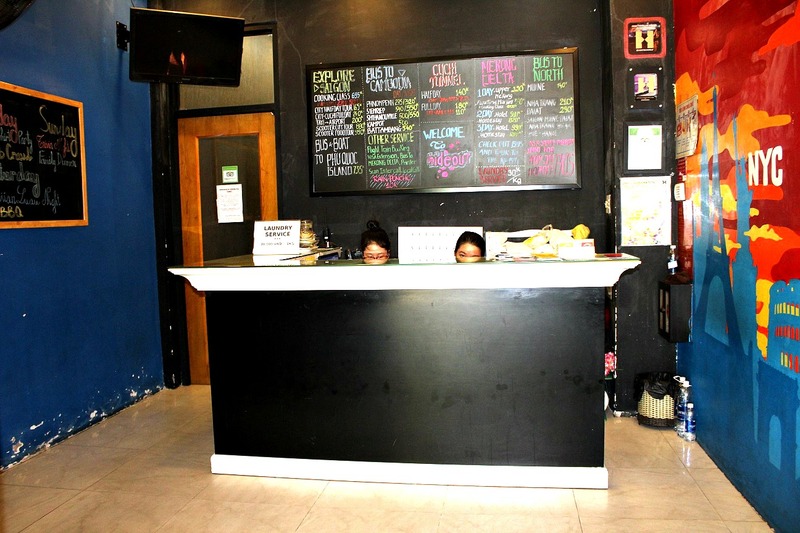 First is location - it is located in front of Pham Ngu Lao park in District 1 of Pham Ngu Lao. 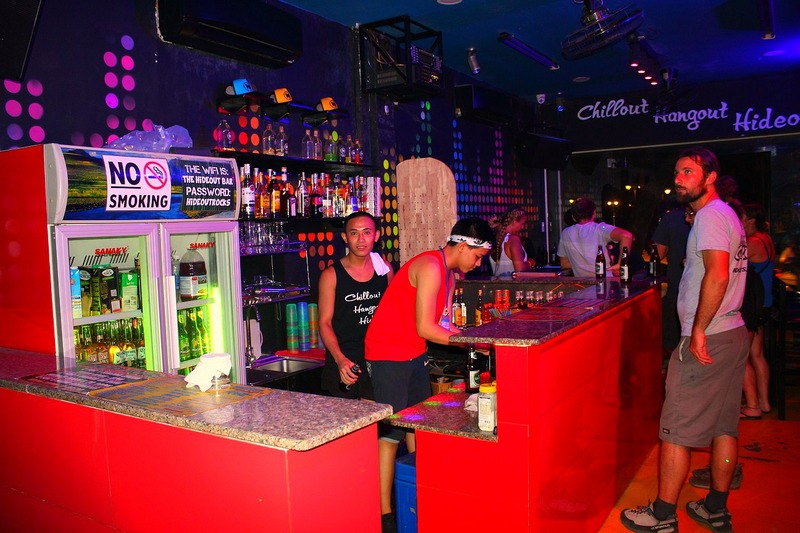 I believe Pham Ngu Lao is like the Khao San Road of Bangkok or the Pub Street of Siem Reap. The bus (109) that comes from the airport pass by right near the park. You can just literally walk for 5 - 10 minutes to get to this hostel. One way ticket is only $1! On the way back to the airport, Bus 109 passes by the street right where the hostel is. 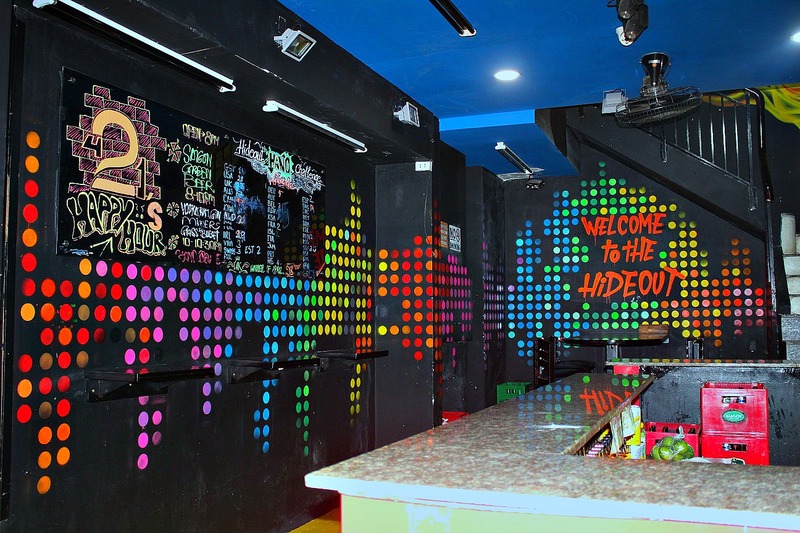 Second, the Hideout Hostel offers FREE breakfast every morning and FREE beer every evening you paid for your stay. For someone who is on a tight budget, I think this is the way to go. Every morning from 7am - 11am at the rooftop bar (3rd floor), you just need to present your room key (that will tell your dorm bed number and room number) to get one piece of banh mi bread plus egg (cooked the way you want it) or a cup of mixed fruits. Every night from 7pm - 8pm, you also get one bottle of Saigon beer or rum / vodka plus a mixer. How cool is that? This is a one of a kind party hostel that carries its branding indeed as a place for fun and party! Third, the Hideout Hostel is a HOSCARS awardee for 2016 & 2017 HOSCAR winner of the most popular hostel in Ho Chi Minh. I worked with a chain of hostels in SE Asia before so I know this award is only given to those really deserving hostels that offers service above quality than the rest. Like every hostel, the walls of Hideout is made of colorful artsy stuff. It is composed of two buildings - both 3 floors high. Left side you'll find the bar at the ground floor, office of the owner plus a small room to store your belongings at the first floor, lounge room at the the second floor and rooftop bar at the third floor. 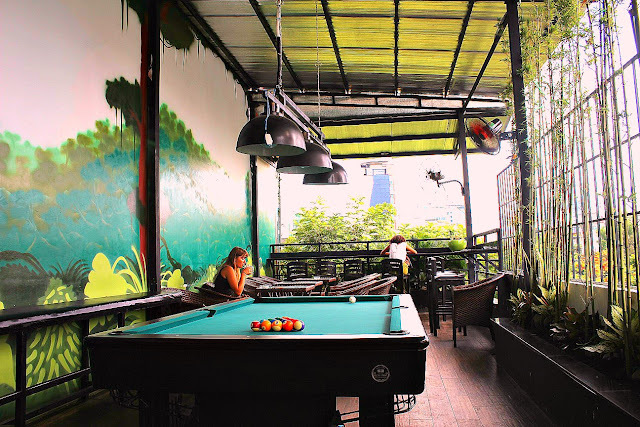 What stood out to me is the lounge room, it's a wide space filled with bean bags where one can relax and watch the busy street of Pham Ngu Lao from the glass-covered window. There's a flat screen TV that showcases hundreds of movies to watch. The check out time in Hideout Hostel is 11am so for someone like me whose flight is around 9PM, instead of wandering outside and get tired I let the time pass hanging out here which is airconditioned and peaceful by working online and charging my other gadgets. The wifi is superb, I was able to finish some of my tasks! There's even a spare comfort room right next to it so if you want to freshen up before you head to the airport, taking a shower would be great at no extra charge after you check out. Right side is where the dorm rooms are located. I have been to a number of hostels around Asia actually, this is the first time I have seen one with elevator! Though it is kind of small but heck who wouldn't want to save a few minutes to get to your room when you are in a hurry? Plus it is also a great way to meet / chitchat with fellow guests. I love the fact that the rooms are separated from the bars - no complaint of loud music that can hinder anyone who wants to have a good night sleep. The dorm room where I spent 4 nights is at the first floor. It's relatively small - there's no separate drawer where you can put your stuff. What they have is a compartment below the bunk bed where you can put some of your dress and gadgets. They provided a key to lock it. I think it can only accommodate about 7 kg of your belongings. The rest of your stuff, you have to put in any corner of the room. The space may be limited but I like the idea of not having a centralized light inside the room. One can only open or close the light that's meant for his or her bed. I cannot sleep in a room that's too bright so this setting is perfect for me. Hideout Hostel has mixed doorms only, no women's room so far. Apologies, for some reasons all of the photos I took inside my dorm room came out blurred or so. I will let the official photos on Hostelworld shows you how it looks like. The bed is comfy and soft. You only get one pillow. There's one light mounted to the wall nearest you in case you want to read and one charging outlet. The bunk beds do not shake. Mine was on top so I had to go up and down but thankful that the one staying below me never complained at all of my constant moving. The shared comfort room of Hideout Hostel has a shower, bidet, sink and a metal bar to hang your towels. Tissue paper is supplied. You should bring your own shampoo, soap, and lotion. The shower needs a bit of repair in our room. It doesn't emit cold or warm water and the knob is a bit harder to turn to the left or right. Sometimes it falls down too. All of the staff speak good English with a dash Vietnamese accent. They're very nice. They assist you right away should you have questions. The reception is only open from 7am to 10 pm so make sure you talk to them at these hours if you need to. Watch out for their pub crawl, I didn't get to join this though I would love to but the idea behind here is that proceeds or a portion of the profit is donated to some local charity groups. 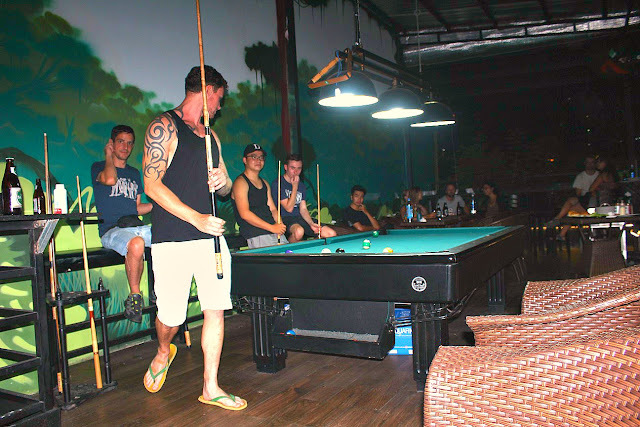 I took a 2d1n tour for Mekong River cruise so I missed one night with the schedule of the pub crawl because I stayed in a homestay about 5 hours away from Ho Chi Minh city. Overall, I recommend Hideout Hostel for those who don't mind sharing a room with opposite genders and or strangers. Someone who is not looking for solitude and peace. This hostel is for those who are looking for utmost fun and adventure! 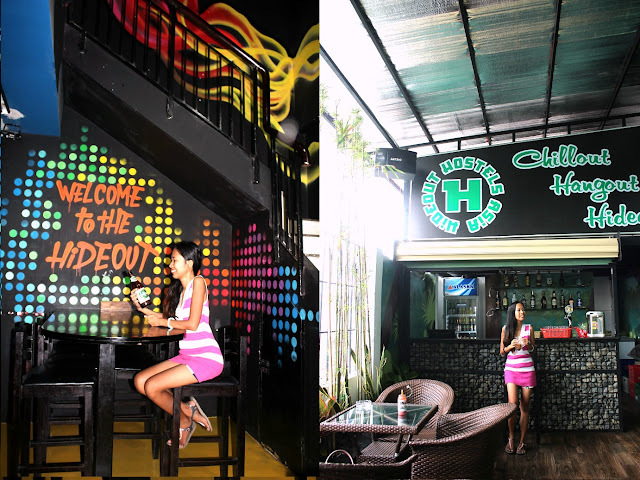 If you also happen to be in Hoi An or Siem Reap in Cambodia, Hideout Hostel has branches there too.